With travel being such big business, and with 81 percent of people booking their holidays online in 2018, it is imperative that travel companies maintain reliable websites with fast load times. This is particularly true as hotel rooms and plane tickets are sold in real time and are limited in quantity. Indeed, research undertaken by Akamai has demonstrated that underperforming travel websites result in lost sales. They found that 79 percent of online shoppers who experience a dissatisfying visit are less likely to buy from that site again, while 64 percent would simply purchase from another website. This is why we here at StatusCake decided to make use of our website uptime monitoring software, to get a detailed picture of the average performance of websites in the travel industry, and to understand how well they fare according to our own average website uptime benchmarks. 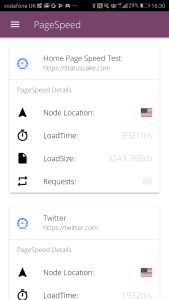 We were able to convert uptime percentages into monthly and yearly downtime in days, hours and minutes by referring to the StatusCake Uptime and Downtime Cheat Sheet. Now you can use the icon at the bottom right of the StatusCake app in order to drop us a line and get in touch with our support team. Feel free to give it a try next time you are using the app – and let us know if you’ve got any questions we can help out with! As well as adding new HTTP type tests through the app it’s now possible to edit and also fully remove tests as you wish. Coming soon we’ll be implementing push alerts, which means you can get your StatusCake alerts straight through to the app, avoiding the need for SMS and other alert types. How can I get the app/see the changes? If you do already have the app but aren’t seeing the new features, simply navigate to the page for the StatusCake app within the app store, here you should see an option to update to the newest version. You can now add a basic HTTP type uptime test in the app by going to the “Tests” section and clicking the add button at the top right. 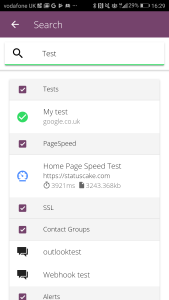 Search tool which will filter your Uptime Tests, Page Speed, SSL, Contact Groups and recent alerts in one easy action. We’ve improved graphing, and the presentation has been updated for when no data has yet been collected. Sorting algorithms have been improved for a more sensical sort. Flags added to Page Speed tests for easier region identification. 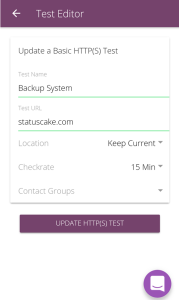 We currently integrate with a wide range of notification systems and applications to which we can send through our Up or Down alerts based on the health and status of your website on StatusCake. Sometimes though, it’s great to have these alerts coming through to a system that’s not classically used for notifications. Today we’ll take a look at how you can have your downtime alerts sent to the Zendesk Customer Service Software & Support Ticket System. 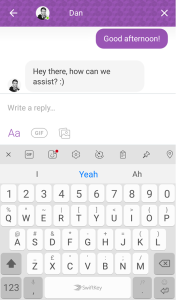 Having your customer support queries, and downtime alerts sitting side by side can be an effective way of diagnosing customer reports, and allows the support team to more effectively communicate issues to dev-ops. You can set up this integration between StatusCake and Zendesk in under 5 minutes, and from the point of completed configuration everything will be automated so no further action will be required. It’s fully possible however if needed to modify the settings later on. 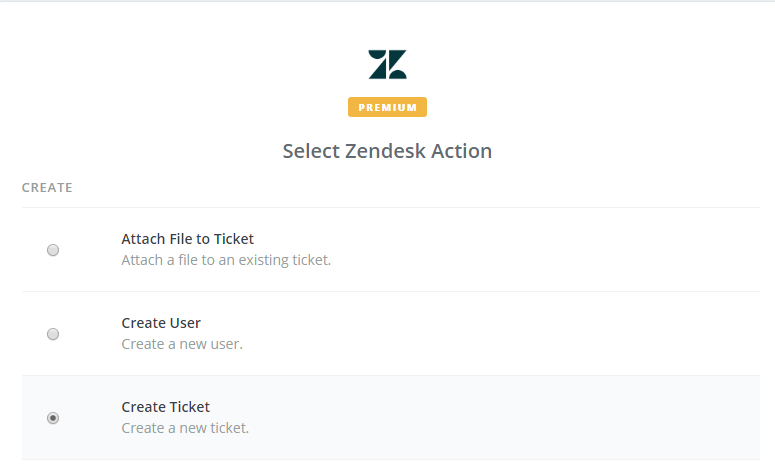 One that’s complete you will see each downtime alert inserted as a ticket into your Zendesk dashboard, these can then be correlated with customer reports, or passed straight to the team responsible for dealing with the problems. There’s a lot that can be automated within StatusCake using the Zapier app. 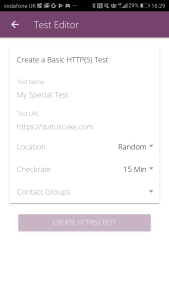 Today we’ll take you through how to keep an automatic log of any tests added to your StatusCake account, all the data will be stored on Google Sheets, and the data for each new test will occupy one row. We do store similar data for you with our Audit log feature, but using this method allows you to keep your own hard copy which can be downloaded for offline access. You will be prompted to assign these data fields to a column in your spreadsheet, assign the ones that you would like to store, and you will then be able to see the expected results within Zapier. Once you submit the Zap and enable it, a new row will be added to the spreadsheet each time that you add a new test within StatusCake.